So since I'd been waiting to get the new stuff in 1.6 to continue work on my personal map, I decided to go ahead and try out some ideas I'd had for the new carpet blocks. Papers on a desk. Used a flowerpot for a pen holder/inkwell, too. As tabletops. Better than pressure plates, carpets are seamless, plus color options and no annoying clicking noise when you "sit" at the table. Pallets / floor mats. This will come in handy for decorating Elsweyr. Oversized beds. You can still hide a regular bed in it, too. If you come up with any ideas for furniture, decorations or designs (not just carpets, either) please share them here! Stacked snow as pillows, using the oversized bed idea from above. Oversized couch, also using snow as cushions. Doors for high-backed chairs. Seen this before on other builds, not my idea but still a good one. Using carpets and slabs on item frames for handles. 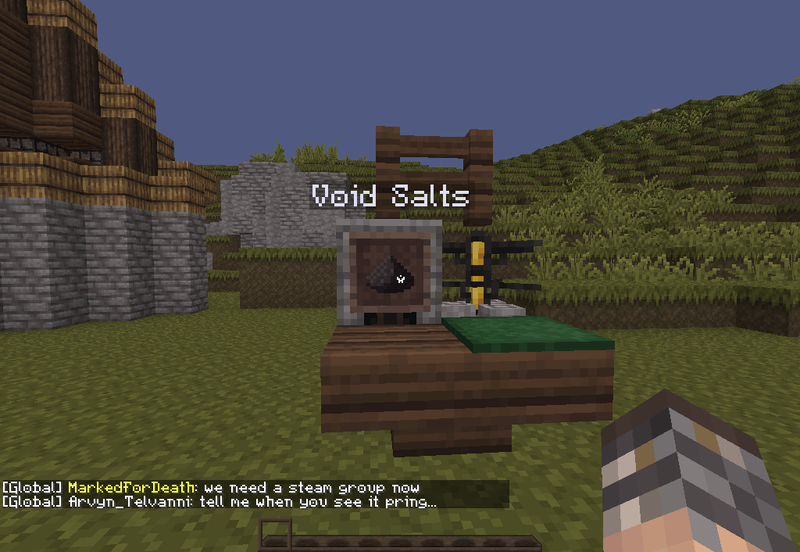 The anvil idea came from someone on the server, but I forget who, I think it was pcv. Is that water on top of the enchantment table? Didn't know you could do that. Clever. It's not water. it's the light blue carpet. It kinda hides the actual enchantment table underneath. With it, you can enchant weapons and armors, and then name it by clicking on the anvils. Some more furniture ideas, these by our very own SewnLake. Armoires/Chest of Drawers. I really liked these. New shelves. Haven't seen them done this way yet, clever. Variation of the cabinet idea. Buttons as knobs. Also, here's a ship-building tutorial that I thought would come in handy. Decided to build something of no significance. Take what you want from it. I made an alchemy lab!